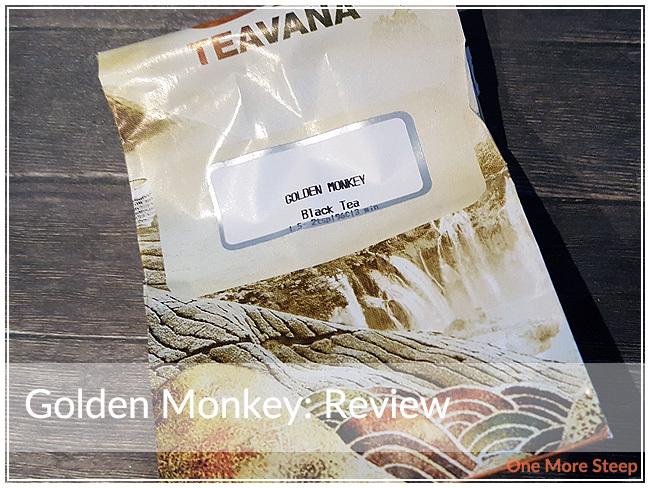 Golden Monkey is a black tea from Teavana, and one of my Starbucks Rewards choices. The dry leaf has wiry leaves, twisted together, with golden/yellow tips. Inhaling the scent from the dry leaf is a sweet honey, floral aroma. It’s quite inviting. I like the look of this tea leaves with the golden tips. The ingredients is made up of black tea. It’s nice to see a straight tea option, and the name makes me smile. Teavana recommends steeping Golden Monkey in 205°F (96°C) water for 3 minutes. I steeped this tea initially for 3 minutes. Golden Monkey has a malty aroma to it when it steeps. On first sip, the first thing I notice is the very malty taste to it. There’s no bitterness to the tea when it’s steeped for 3 minutes. 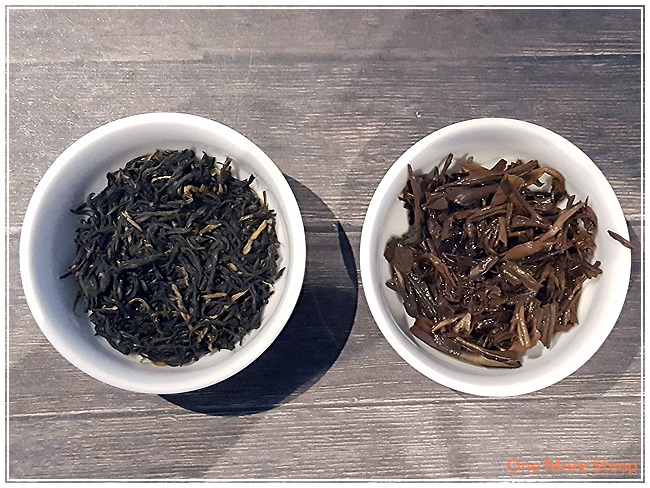 The honey smell to the dry leaf is present in the steeped tea, there’s a very light honeyed sweetness to the tea that is enjoyable. The floral notes I first smelled from the dry leaf isn’t present in the taste though, which is a bit disappointing. Oddly enough, I found that Golden Monkey has a bit of a sour aftertaste that lingers on the tongue. While the tea itself is fairly pleasant, the sour aftertaste is not. 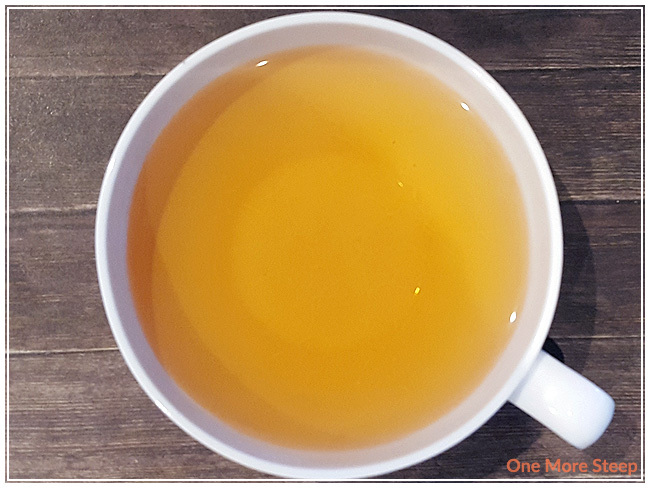 I steeped a fresh cup of Golden Monkey at a shorter steeping time to see if the sour aftertaste would disappear. I steeped the tea at 2 minutes and the sour aftertaste is not present. I steeped it for 2 minutes and 30 seconds and the sour aftertaste is present. I would recommend steeping it for just 2 minutes initially to avoid the aftertaste. Golden Monkey resteeps fairly well. I did it once and the taste remains fairly close to the first steep. If you opted to steep it at the recommended time (3 minutes), I’m sorry to report that the lingering sourness is still present on the second steep. I thought that Teavana’s Golden Monkey was just okay. 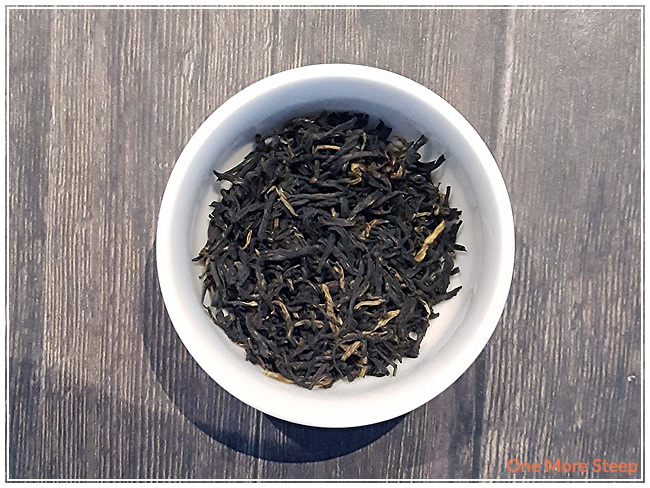 Golden Monkey is a decent black tea, I quite like the honey malty flavours of it. However, the recommended steeping time of 3 minutes is far too long and the sour taste leaves me not overly ecstatic about this tea. It’s a decent straight black tea, that has a great taste as long as you don’t steep it for the recommended length of time. Because of that (and honestly, the price – there are less expensive straight black teas out there! ), I had to give it a lower score.